Last summer we told you of the U.S. Department of Labor’s (DOL) announcement to amend 29 CFR Part 541, the “white collar” exemption for executive, administrative, and professional employees. The comment period has passed and the DOL will announce their final decision sooner than originally anticipated, by late spring/early summer. 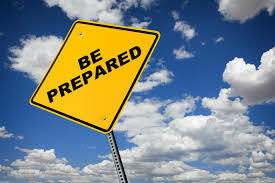 Here’s a little background and our suggestions to prepare for the worst case scenario. If the DOL proposal passes, the minimum salary for an exempt employee in 2016 is projected to be $970 per week or $50,440 per year; the highly-compensated employee standard would be set at $122,148. Employees earning less than $970 per week or $50,440 per year would have to be paid overtime if they are classified as a manager or professional. There are actually two tests to classify a position as exempt – the salary test (above) and a duties test. The current proposal does not address any changes to the duties test, although the DOL has asked for comments about this. In most cases, California’s duties tests have higher standards than the federal tests. Today, for CA employees to be exempt from overtime they must earn a minimum monthly salary of two times the state’s minimum wage, which amounts to $3,466 per month and $41,600 per year. It’s looking very likely that the state’s minimum wage will be increasing to $15 per hour by 2022. By that time, the exempt salary test will be $62,400 per year! In the middle of all this Republican members of the House and Senate introduced a bill that would effectively invalidate the DOL’s proposal. The Protecting Workplace Advancement and Opportunity Act would require the Secretary of Labor to nullify the proposal and conduct an economic analysis to determine its impact on certain employers before implementation. It’s unlikely President Obama would sign such a bill. So what’s a thoughtful CA employer to do in the interim while the government assesses these proposals? Open up those budget spreadsheets and be ready to look at the options. Adjust Salaries. Review the base wages and duties of all of your employees. Those employees who earn less than $50,440 annually are the first to consider. (You may also consider employees within ten percent of that salary level in the anticipation that the DOL proposal will be amended.) If they are currently classified as exempt and you wish to retain their exempt status you’ll need to amend your salary budget to bring them to the new minimum. (Keep in mind that the employee’s duties must also meet the exemption test.) Some employers may need to lay off others in order to absorb the salary increases. Reclassify. Employees who may be currently classified as exempt, but do not meet the salary and/or duties test for an exempt level position under the proposed rules may be reclassified to non-exempt (hourly) and be eligible for overtime. This is particularly costly for CA employers who must pay daily overtime. Again, a budget impact for the employer to consider. By the way, employers may classify any position (up to the CEO – and wouldn’t that be a sweet deal!) as non-exempt and pay an hourly wage; it’s the exempt classifications that come under scrutiny. Restructure. Consider restructuring job duties (e.g., recreate one big job into two smaller roles to avoid overtime). Certainly, positions on the cusp that require a lot of long days and weeks will need to be measured carefully for the impact of overtime versus a salary. Positions that do not require overtime may be better classified as non-exempt. We’ll keep our clients posted as the fog clears. After the final rules are approved a specific implementation time frame will be announced. The last change made to the exempt minimum salary in 2004 (in the Bush administration) was effective within four months – not a lot of time to rewire unless there is a plan in place. Smart employers will start their budget spreadsheet engines now. On top of the new salary minimum, the DOL proposal suggests an automatic elevator with the standard salary minimum indexed to the 40th percentile of weekly earnings for full-time salaried workers, and the highly-compensated employee salary indexed to the annualized value of the 90th percentile of weekly earnings of full-time salaried workers. This could mean the minimum salaries for exempt employees would change annually or the exempt employees would have to be reclassified to non-exempt.